How does directivity factor into speaker design? The degree to which a speaker uses controlled dispersion or sound reflectivity is a key consideration in any speaker design. There are very valid reasons to design speakers in a number of different ways. Much of the sound we hear every day is actually reflected. Sound bounces off walls, floor, ceiling, etc. Thus, many speakers are designed to allow sound from our music and movies to do something similar. For example, many sound bars have a built-in feature to simulate virtual surround sound. This is achieved by using sound reflectivity to create rear channel effects. 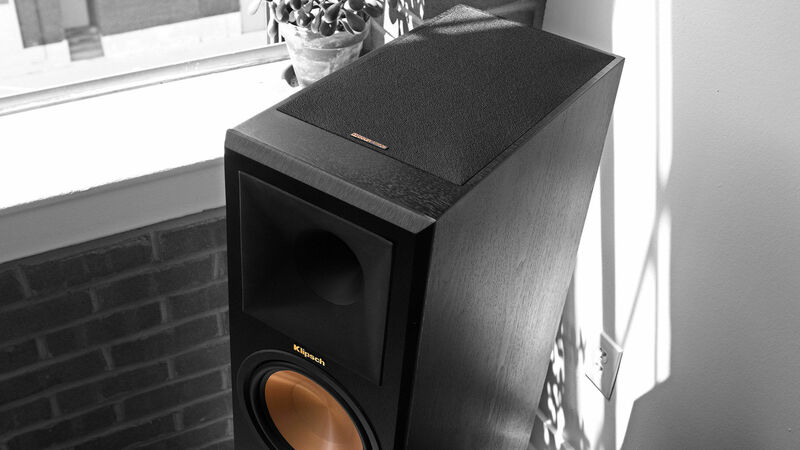 Other speakers are specifically designed to reduce reflectivity via controlled dispersion. As an example, a major aspect of the THX speaker is controlled directivity. THX is designed to deliver a natural sound stage to the listener by reducing sound reflection. And as of recently, directivity has become even more important to speaker design with Dolby Atmos technology. Here, we see speaker directivity is key, but the sound is not necessarily directed right to the listener. Atmos uses additional elevation channels to direct sound to a particular point in space in the sound field around the listener. This can be done with ceiling speakers that direct audio down towards the listening position, with elevation channels on top or built-in to the speaker cabinets. Ultimately, sound is reflected from the ceiling to the listening position. The benefit is an immersive audio experience that allows you to feel sound from every direction. Regardless, which type of speaker you’re shopping for, speaker directivity is a key component of any speaker design. Be sure to consider your listening environment and allow that to guide you towards a solution that best fits your needs.